1. As California’s record-setting drought intensifies, agribusinesses are planting more water-intensive almond trees in the Central Valley, the SacBee$ reports. 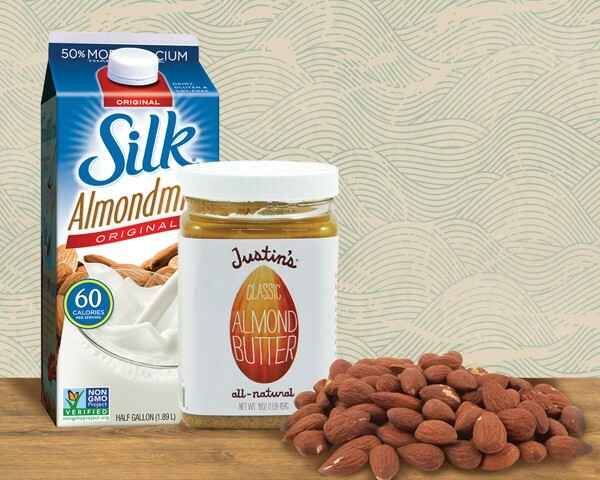 Almonds use huge amounts of water, but economists say that the crop remains highly profitable. The amount of California farmland devoted to almonds has doubled in the past two decades, and has continued to increase in the drought. 3. Biologists, meanwhile, only found one endangered Delta Smelt — which has been pushed to the brink of extinction by water transfers from the delta to San Joaquin Valley agriculture — during their latest survey, the Mercury News$ reports. Agricultural interests now say its time to give up on the smelt and let it go extinct — a proposal that environmentalists strongly oppose. 4. State water officials say they will build a $28 million temporary dam in the delta to keep the water from getting too salty, and thus ruining it for use by agriculture and California residents, the SacBee$ reports. The lack of freshwater in the drought has caused saltwater from the ocean to intrude deep into the delta. The state hopes to have the rock dam in place by next month. 5. Nearly half of a fenced in herd of tule elk at Point Reyes National Seashore has died in the past two years — likely because of a lack of water, the Chron$ reports. Environmentalists contend that the fencing blocks the elk from accessing freshwater. But ranchers want to fence off more elk at Point Reyes because they say the animals eat too much grass, and don’t leave enough for cows. 6. ICYMI, state Senator Loni Hancock of Berkeley was instrumental this week in blocking legislation that would have mandated vaccines for children in California, the Mercury News$ reports. Hancock called the bill, which would have eliminated the personal belief exemption for vaccines, “draconian,” after a large contingent of the state’s anti-vaxx movement said they would pull their kids out of school if the bill passed. 7. Prominent San Francisco Catholics are calling on the pope to oust Archbishop Salvatore Cordileone because of his anti-gay policies, the Chron reports. 8. And the City of Carson has gathered enough signatures to put a stadium proposal for the Oakland Raiders and the San Diego Chargers on the ballot, the AP reports (via the SacBee$, h/t Rough & Tumble).